Ask fellow campers about "Post View RV Park" and nearby attractions. I made a mistake staying here. When we checked in they gave us one price then they jumped it up. We were guided into a pull thru site that was between two 5th wheel trailers with slides. As we were setting up my wife went around the site and picked up all the garbage. the water pressure at the site was less than 5 psi. The other trailers were so close that we had to close our trailer door to walk to the truck. I will never stay at this park again. We camped at Post View RV Park in a Travel Trailer. Nice woman running the place; paid cash with PA. our site was a pull through with good water and questionable electric; the box was falling apart but I always check electric and the voltage was OK. There were lots of full time residents and loose dogs around. There is nothing in the area, and it's just OK for a quick one night stay. Tried walking up the road but there were 3 loose dogs keeping watch at their house, so did not go far. We camped at Post View RV Park in a Travel Trailer. Overnight stop, so we didn't seek out any of the amenities here...but we did hit tree limbs driving through the park and had a bit of trouble figuring out the pull-through options there--seems to be double-stacked two to a site. neighboring meandering dog presence meant ours stayed inside. Owner really friendly and helpful, particularly for a holiday. 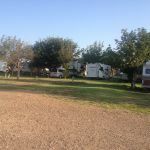 We camped at Post View RV Park in a Travel Trailer. We travel from state to state doing construction work. We found this park and just fell in love with it ! The spaces are large and we had 50 amp service . The landscaping was beautiful, lots of pines trees and roses . We have stayed in lots of rv parks but this one was exceptional. The owner went out of way to make sure everyone at park was happy . I would highly recommend this park. I will be going back We camped at Post View RV Park in a Fifth Wheel. The town of post had post office, grocery store, restaurants a home town feeling. The people in this town were very friendly. Gravel pads. Weeds are cut back generally. Tree limbs needed to be cut back. Bathrooms filthy and partially inoperable. 50 amp service worked fine but pedestals were rough looking. Many sewer connections were without covers. Only positive was helpful owner/manager on site. Passport America rate still seemed a little high. Wouldn't do it again. We camped at Post View RV Park in a Motorhome. This is a "bare bones" rv park. No internet, and we could not get any tv, although the owner said we should get a couple of stations. Sites are level, and we were in a pull-through so that we didn't have to unlock. Setting is out in the country, with a nice country road for our morning walk. The $15 rate is for Passport America. We camped at Post View RV Park in a Travel Trailer. Campground is on owner property. It was more run down than the last time we stayed here; needs grounds and facility maintenance. Proprietor was very nice. OK for a one night stopover. Used PA rate; not worth full rate. Laundry OK; on honor system. We camped at Post View RV Park in a Motorhome. Not much here. The county road to the park is dusty with wash boards. The power appears a bit dangerous, and the sites are not level. It is rundown and has a lot of long term occupants that have a lot of junk. If you have to stay in Post, this is the best park, but you would be better off to drive on by this place. We camped at Post View RV Park in a Motorhome. If you don't mind missing out with WiFi or very good TV reception this park is for you. We stayed 3 nights. Lots of peace and quiet and friendly manager. The Laundry room was very clean and tidy. the park is about 2 miles west of town so it's convenient to everything including free wifi at McDonalds. We'd stay here again. We camped at Post View RV Park in a Motorhome. The word "Adequate" comes to mind when I think about this park. The price is right with nice owners. The downside is that PA for 30 amp is same as 50 amp at $15 (not 12 as on website). Water in showers was lukewarm. We camped at Post View RV Park in a Motorhome. Decent older park. 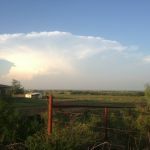 Has a nice owner and the place is quiet and in a good location north of Post,Tx. We have stayed here before, but one word of caution. If in a tall motor home, watch out for the levelness of spots and the older trees that should be trimmed, which is our only complaint. I would stay here again. We camped at Post View RV Park in a Motorhome. This campground is about the only one in this area. The sites are arranged in a back to back method. The 50amp we stayed in was long close to level and dirt. Shore power and services are good. This is not a great campground but very liveable for a couple of nights. They do have a few full time clients. Sprint Air card works very well. This is a Passport America campground. We would stay here again for a couple of days. We camped at Post View RV Park in a Fifth Wheel. The access road is a county road and needs to be resurfaced. It's a washboard! The nice manager said the county won't repave until there is rain. The management is very friendly and helpful. We could not get a single TV channel on our antenna. This must be the only place in the US that is not digital or the signal is so distant that my bat wing antenna and booster could not find it. It's dusty, not well kept, and other than an inexpensive night on the way to another destination, has nothing to offer. We have a 30 amp rig and the electricity was good. We camped at Post View RV Park in a Motorhome. Passport America park, $12.50 a night per owner's sign on her check-in counter but she charged us $15.00 a night which was not the PA discount. I couldn't get it into her head that we would not be using 50 amp but she didn't seem to understand, she just saw we had a 40' MH with 2 A/C's on the roof so must have decided she should charge us more so I didn't argue with her. Park looks run down, tight squeeze trying to get around corners and into a site. Would probably not stay here again. It is definitely not a destination park. Bathrooms were clean but very antiquated. We camped at Post View RV Park in a Motorhome. Access to this park is tricky. It's on a dirt road and very dusty. Park was near empty. Only has a couple of 50 amp hookups, and the 50 amp hookup was not putting out 50 amps. There is no cable TV. Had to leave the inverter on to make up the difference. We camped at Post View RV Park in a Motorhome. Are you affiliated with Post View RV Park ?